In the first part of this series, Technology is reshaping our world: Financial advisors should embrace technology: Part 1, we discussed how technology is re-shaping the financial services landscape and in the second part we discussed How can financial advisors use technology to take their businesses to the next level. In the concluding part of this series we will discuss how Financial Advisors can acquire new customers through social and digital media and how the referral system is shifting form word-to-mouth to through web. Most importantly, in this concluding part we have shared our view as to how scepticism about technology may prevent the financial advisors from achieving their true potential. New customer acquisition is obviously the biggest challenge for independent financial advisors, once they have exploited the potential of their immediate customer network. The traditional, time tested means of customer acquisition for most traditional IFAs is referrals. I believe that, referrals will continue to be the most important channel. However, the important thing to note, to which most IFAs will agree, is that, it is one thing getting a lead through referral and another thing to convert the lead to a customer. The lead time of converting a referral to a customer can vary quite a lot. For example, if you are a financial advisor and you ask your customer for a referral, your customer can refer you to his or her friend. Many advisors assume that, once a customer has referred him or her to a friend, it automatically means that, the customer has endorsed him or her. The reality is different. The customer may have simply referred the advisor to his or her friend, thinking that the friend will also need the services of the advisor. However, the customer’s friend may have other options for the services he or she may require. Therefore, in addition to the referral, an endorsement is also required. A referral does not always mean an endorsement, even though a financial advisor may automatically link the two. In order to endorse an advisor, the customer may have to endorse the advisor when he meets his or her friend in person, or call the friend to endorse the advisor, or email the friend, endorsing the advisor. Even though, for you as an advisor, this referral is very important, it is not the most important thing on the to-do list of your customer. However, social media opens up numerous new possibilities for the financial advisor on this front. 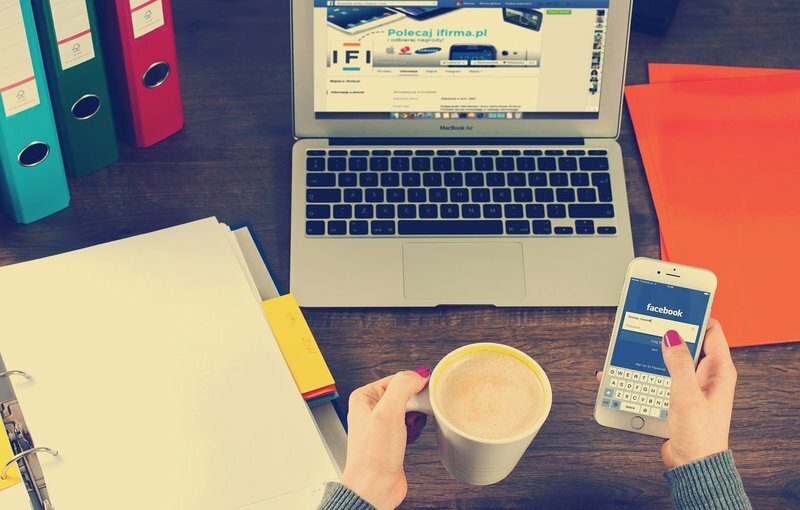 Social media like Facebook gives you visibility in your customer’s friend’s network, if you are connected with your client through social media channels. If your customer is very happy with you and wants to endorse you, he or she can do it with very little effort on social media. There are various social media channels like Facebook, Linkedin and Twitter. Each of these channels has their own characteristics. Choose the social media channel you want your practice to be part of, after evaluating carefully the nature and potential of your network. For example, let us discuss about the features of some popular social media used worldwide presently.. Twitter is more business oriented and you should put out short, straight to the point messages about your business. With just a few re-tweets your message can get across to thousands of users in just a few minutes or less. Twitter has 200 million active users daily for you to connect with. Facebook is a much bigger world, with over 1.5 billion active users. While Twitter is primarily used for business conversations or social conversations which have a wider impact, Facebook is used for both personal and business conversations. Unlike Twitter, there is no limit on the size of your message in Facebook. So using Facebook you do not need to worry about verbiage, when promoting your business or the products that you sell. Facebook is much like a group of people gossiping over morning cup of tea. If one person sees a friend who endorses a product that you sell, they are much more likely to try that product themselves. While, Facebook has no character limits for its posts, excessive wordiness has its own limitations, because attention spans are getting more limited. Therefore, you should be careful about what you post on Facebook. It should catch people’s attention, but should not make them switch off from you also. In my personal opinion, Facebook is must for financial advisors. Once they have taken their business to a certain level, they may also leverage Twitter. We have discussed the importance of social media in acquiring new clients from your customer’s network. Social media helps you build an online presence for your practice. However, an important element of building your online presence, is also building your own brand online. While social media can help you expand your visibility and brand, the most basic element of online brand building is having your own website. Your website is like your online visiting card. In this day and age, when people hear of something new, they want to check it out online. If you have no website what will people check about you? Maybe they can check your Linkedin profile, if you have one in the first place, but as a financial advisor, it may not be good enough. A website is an online embodiment of who you are as a financial advisor, the services you provide, your qualities, your endorsements, how you differentiate from your competitors etc. Building a great website is not the easiest of tasks, but not having a website at all, may put you at a disadvantage vis a vis your competitors with an online presence. So, from my personal point of view, if the choice is between, having a not so great website and not having any website, I will unhesitatingly opt for the former. Building a website, while entailing a big upfront effort in terms of design, content and implementation, is also an ongoing process. A website will not be effective, unless you regularly post fresh content. Therefore, it always helps, if you start a blog on your website. You never know, if an investor outside of your network reads your blog and wants to do business with you. The potential of online content is huge. Features like online research and online investment tools on your website, will further increase your brand value and the popularity of your website. You should pay attention to search engine optimization (SEO). Millions of people go to search engines like google.com everyday, looking for specific information. Some of these people may be looking directly or indirectly for services you provide. If your website content shows up on a google search, you have potential visitor to your website which may also translate into a customer. When building your website, you should always endeavor to convert the visitors on your websites to your customers. Search engine optimization is not an easy task. It is both an art and science. However, if you devote some time and effort to learning about SEO, you can yourself improve the traffic to your website. Also, there are a number of companies that can help you with SEO. Based on our experience, you will not be able to crack the code in one day, but the revenue potential of more visitors resulting in new customer acquisition is undeniable. Finally, we will again revisit the issue of costs. If you care to put in the time and effort, you will realize that, while building a website involves making investments, the quantum of investment is not as big as some may imagine, while the benefit potential, both tangible and intangible, can be substantially more. One thing that, I have noticed in my business career is that, as some people get more experienced in business, they get increasingly more skeptical about new developments or initiatives. Skepticism does not help, except in maintaining status quo. If you are happy with status quo, then there are no further arguments on this front. The only thing I have to say to people, who are happy with status quo, is asking you, how long will the status quo remain? The history of business has shown that, status quo does not persist beyond a point of time. The second point that I have noticed is that, people do not recognize the potential of technology, both as threat and opportunity, simply because they do not understand technology. Thirdly, just because they do not understand something, people have incorrect preconceived notions about it. Technology is not expensive and not out of reach for IFAs. In fact, I have seen some IFAs spend much more on items of personal consumption (very little business use, like vacations, expensive phones, cars etc), than on investing technology for their business. You do not even have to build technology. You can buy technology, using software as a service (SAAS) model. All you need to do is, spend some time to clearly understand and lay out, what your business requirements are. As financial advisors, you ask clients to invest to create wealth. Should you not apply the advice, you give to your clients, to your own business / practice? Do you not also tell clients, to take a measured amount of risk to get the most optimal returns? How about, taking some risks in your own business? Think about it. Whether you like it or not, technology is re-shaping the financial services industry. The pace of technological transformation and adoption by customers will only increase in the years to come. This is the age of technology. Whether you want to be part of it or not, is up to you, but it will certainly have an impact on the growth potential of your business. By adopting and investing in technology, you are likely to take your business to the next level.